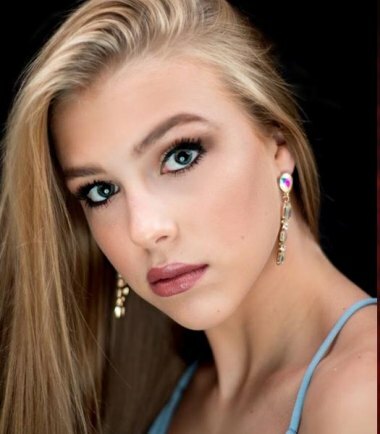 Morgantown, WV, October 8, 2017 – Pageant Associates is excited to announce the winners of the 2018 MISS WEST VIRGINIA USA® and MISS WEST VIRGINIA TEEN USA® competitions. After a weekend that showcased the accomplishments and dedication of young women across the state of West Virginia, Casey Lassiter, 21 of Spencer was crowned MISS WEST VIRGINIA USA® 2018 and Trinity Tiffany, 16 of Huntington was crowned MISS WEST VIRGINIA TEEN USA® 2018. The 2018 pageants were held in Morgantown, WV, October 7-8, 2017. The Lyell B. Clay Concert Theatre, located within the Creative Arts Center on the campus of West Virginia University, served as the venue for all pageant activities. Contestants were judged in three equal categories consisting of Personal Interview; Swimsuit for MISS and Active Wear for TEEN; and Evening Gown. The competitions shined a spotlight on some of the best, brightest and most accomplished young women throughout the state. Titleholders will travel throughout West Virginia making appearances and acting as ambassadors of the state at a variety of charitable events, social functions and more. To stay up-to-date with this year’s West Virginia pageant activity, follow the social media hashtags #RoadtotheCrown and #ConfidentlyBeautiful. For more information on future pageants in West Virginia, visit www.misswestvirginiausa.com. The MISS WEST VIRGINIA USA® and MISS WEST VIRGINIA TEEN USA® pageants are independently conducted and produced by Sanders & Associates, Inc., under license by IMG Universe, LLC dba-The Miss Universe Organization. For more information, please visit the Pageant Associates website at www.pageantassociates.com, contact the Pageant Office at (724) 785-4648 or by email at coordinator@pageantassociates.com.